1. 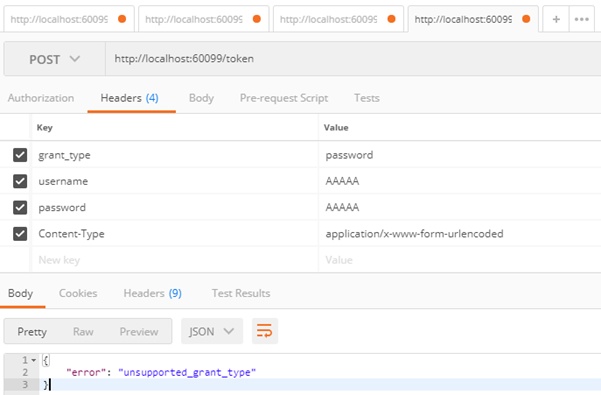 Create a sample WebApi using the visual studio as a default api. 2. Now browse your WebApi. Just to test that your API is working fine or not. Install below Nuget packages in your applications. Implemantaion of Oauth Services. This is the iddleware that will handle token generation. 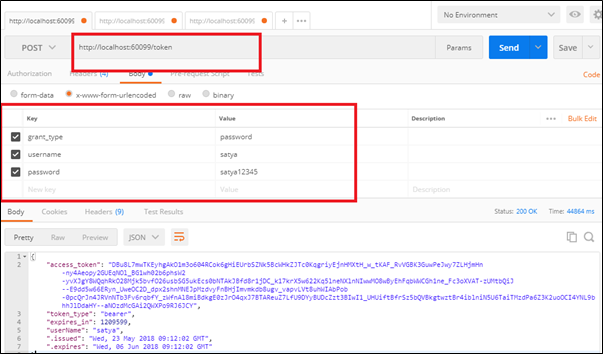 Allow you to manage Cors security for client side requests and validation of proper domains. This package contains the components to enable Cross-Origin Resource Sharing (CORS) in OWIN middleware. It Might be already installed. It helps to maintain the identity into entity frameworks and code first approach. 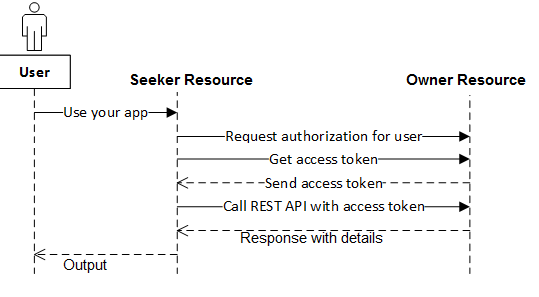 Ø Second line of code adds an authentication filter for OAuth that it will be the only one applied. Add a startup.cs class to your application. c. Added below code in startup.cs page it is partial class. Configuration of authentication ConfigureAuth it is defined in Startup.auth.cs. 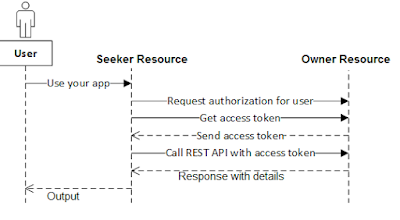 Just a configuration of OAuth. 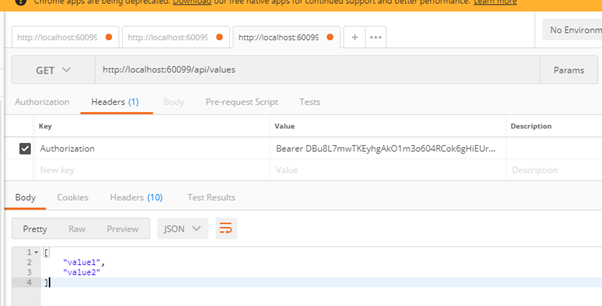 Configuring the CORS for application. 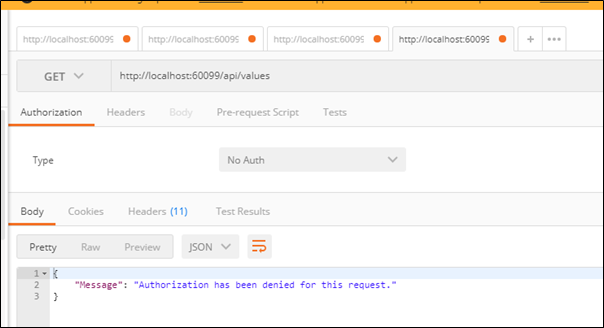 By calling app.UseWebApi you configure OWIN/Katana to send web requests through ASP.NET Web Api that in OWIN terminology is considered a middleware. 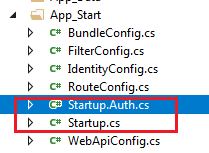 Add file Startup.Auth.cs for maintaining the authorization. It uses to manage the user configuration. Configure the application user manager used in this application. UserManager is defined in ASP.NET Identity and is used by the application. // Configure the application user manager used in this application. UserManager is defined in ASP.NET Identity and is used by the application. You can add profile data for the user by adding more properties to your ApplicationUser class. // You can add profile data for the user by adding more properties to your ApplicationUser class, please visit https://go.microsoft.com/fwlink/?LinkID=317594 to learn more. This is the actual implementation of your Oauth provider, here only it will validate your username and password which is added into Identity. Code to get the values. Just need to add the [Authorize] on top of the action method. It use to register new identity to application and only for that user, you can grant the access token. you can get message as "Authorization has been denied"
Trying to request for token if not registered. You need to add the Identity for application by which only you can validate the Request. You need to get the token by using the token URL. By Passing the UserName and Password. Use same above Setup for postman for fetching tokens.